One blow will stop the action quickly with this loud pealess whistle! One blow will stop the action quickly with this loud pealess whistle! 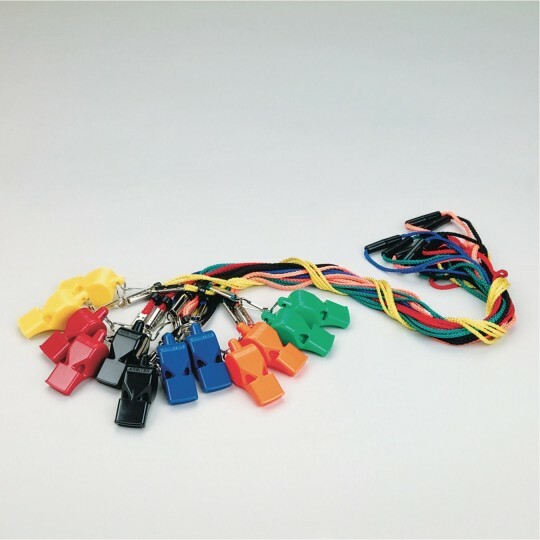 The black pealess whistle features a black breakaway lanyard with swivel clip. Compare to Fox 40 and save. 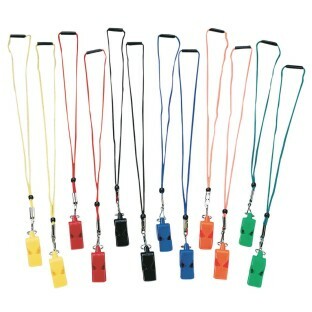 Set includes 12 ABS molded plastic whistles with 20" long matching colored breakaway lanyards. 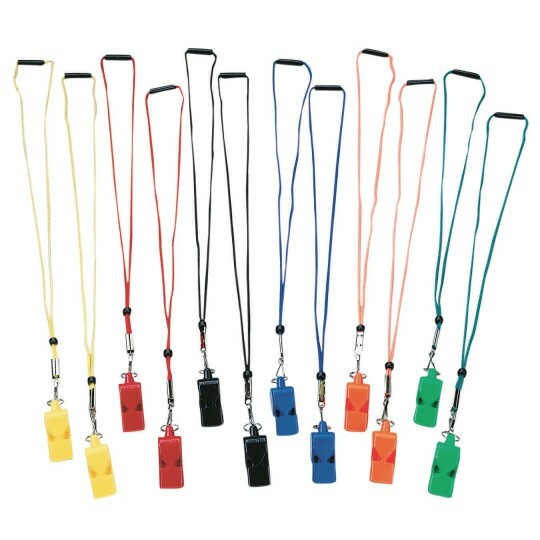 Whistles come in 6 different colors, 2 of each color. No. I would pay the higher price for a better quality. They were not the quality that I expected. They were okay though. Next time I would pay the higher price for a better quality. But for the price they weren't bad if you are not going to use them much or if they were for children. Very useful with large classes. The whistles work great. The girls like the different colors. You never have a hard time getting someone's attention. 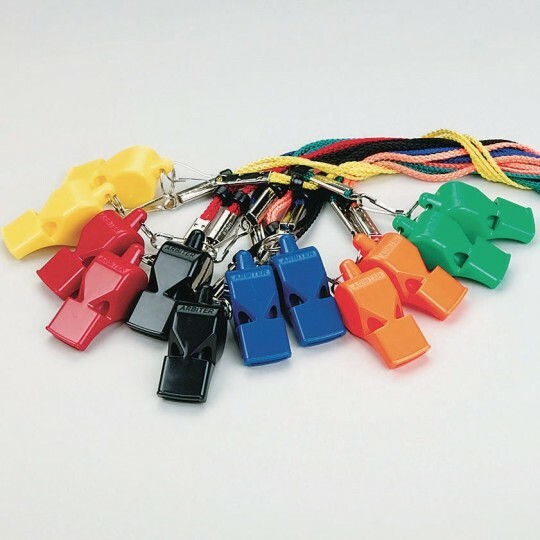 We use the whistle for our dodgeball referees when we put on tournaments. They are affordable and they work. Enough said. I also like the colors which makes them fun like the event we put on!